Indigenous peoples uphold many of the planet's healthiest ecosystems, rich in biodiversity, and systems essential to the security of global food production, fresh water, and ultimately, the Earth's climate. We believe that the peoples who call these places home are the best guardians of their cultures’ vital birthplaces, and that supporting the rights and livelihoods of indigenous peoples, and following their leadership, is critical to the health of our planet as a whole. 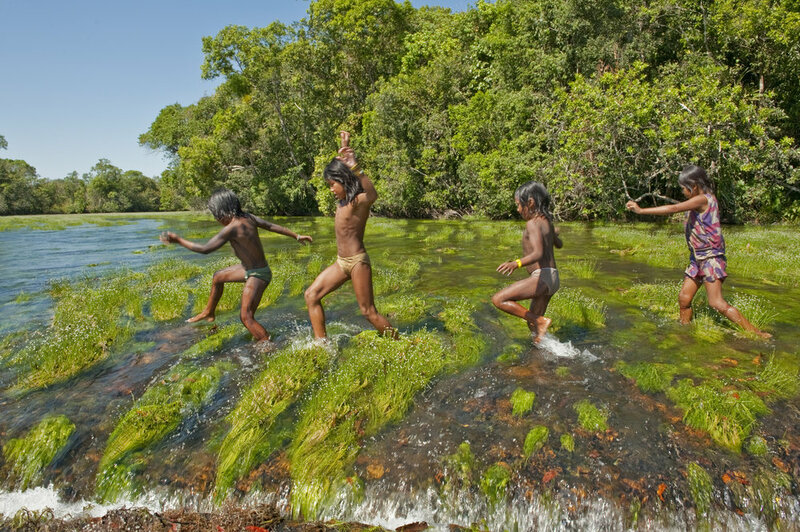 Remarkable places within indigenous territories persist because of what we call guardianship: time-earned knowledge systems and place-specific technologies linked to the right, responsibility and capacity to sustain vital natural systems. Enormous pressures threaten guardianship around the world, and indigenous peoples are seeking recognition, partnership and support to counter these forces. Nia Tero exists to help make that happen. Nia Tero works in areas where indigenous peoples sustain large-scale ecosystems within their collective territories. We support existing and potential systems of governance that can secure successful guardianship of these territories. Our relationships with indigenous peoples and local communities revolve around shared commitments for guardianship. These commitments are put in practice through agreements that lay out mutual obligations to secure the well-being of peoples and places and to provide durable, long-term financial and technical support. Each agreement follows an explicit process of planning guided by humility and a principle that all participants are equals. To ensure that our partnerships and shared commitments endure, Nia Tero will support improvements in their “enabling conditions,” including policy frameworks, ecosystem and social monitoring systems, and long-term financing. Further, we will help propel locally relevant enterprises, infrastructure, and other projects integral to the well-being and earning power of indigenous peoples and local communities. Collective territories are places where people can share a purpose and achieve things at a scale not otherwise possible. That includes nurturing vast natural ecosystems, managing life-giving natural resources such as fish and maintaining revered sacred sites. Nia Tero will focus all its work in places where indigenous peoples and local communities hold territories collectively. Nia Tero's site-based and regional partnerships alone won't be able to achieve the global scale of guardianship necessary to secure humanity’s shared home. To scale up global support for indigenous guardianship, Nia Tero and our partners will amplify the power of indigenous storytelling across multiple media platforms, both close to home and globally. By doing this, we hope to reach audiences ranging from local communities to policymakers and major global development funders. Nia Tero will also facilitate exchange among indigenous peoples to share their knowledge, ingenuity, and solutions across cultures and places.